Every time I post a Sandy Hoax Hook story, I do it with a sigh and a shake of my head, like right now. If you have followed this story and what has happened behind the scenes, then you know that this rabbit hole runs deep. Each time I post a Sandy Hook story, I think to myself that this is the LAST time. But here I go again. Maybe my hesitation is because I despise having to mentally process, like with the Boston Bombing, like the Aurora (Batman) shooting, like the Twin Towers, and others, the truth...that something at the core of our existence is dreadfully wrong. Things don't add up in a BIG way. Perception is not reality, but rather contrived and controlled and the fabric of this matrix that most people accept as reality, is torn and we can take a peak inside from time to time. It's the matrix that I hate. It is the disturbing reality that what we are told is reality...and I mean A LOT of what we are told is reality is nothing remotely like reality. It is a virtual reality. Maybe I should have taken the blue pill. This leads me to the latest shooting at Fort Hood. It's early in their fabrication the story, and I have stayed away from posting any of the news (so far) and boy are we are being inundated with it. But I don't mind saying that I have the strange feeling that we've seen this movie before, and I don't like the ending they have scripted for any of us. But here is a clue: right out of the gate we hear an all too familiar (and all to illogical) gun control mantra, that we shouldn't arm soldiers on MILITARY BASES ...so everyone can be safe. Did I mention that maybe I should have taken the blue pill? -W.E. "Ye are of your father the devil, and the lusts of your father ye will do. He was a murderer from the beginning, and abode not in the truth, because there is no truth in him. When he speaketh a lie, he speaketh of his own: for he is a liar, and the father of it. 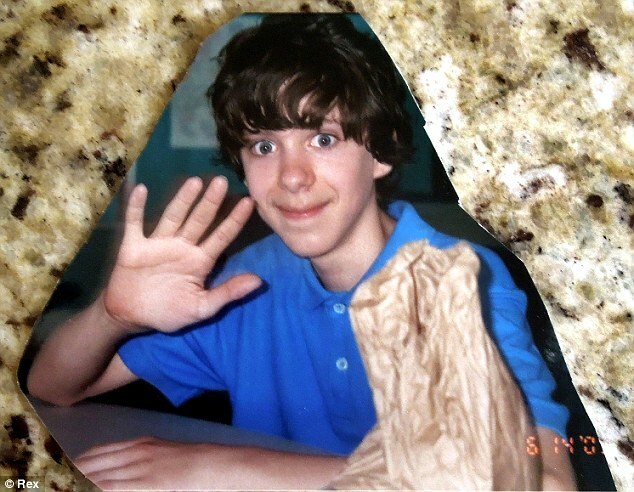 We are told that on the morning of December 14, 2012, a single gunman, 20-year-old Adam Lanza, for no discernible reason, barged into Sandy Hook Elementary School in Newtown, Connecticut. There, in less than 5 minutes, and despite his “very poor muscle tone” and “very very poor motor skills” which typify those afflicted with Asperger syndrome, Lanza managed to shoot to death 20 first-graders and 6 adults. In addition to the parents’ absence of signs of grief, the resemblances of Sandy Hook people to crisis actors, the RIP and donation sites that were created days before the massacre, the strange Social Security Death Index for Lanza that said he had died a day before the massacre, the refusal by the state to issue death certificates of victims (and of Lanza! ), and the continuing lack of transparency from state officials, here’s another oddity — 6-year-old child victim Noah Pozner‘s parents. Put simply, Noah’s mom Veronique may not be who she says she is. And Noah’s dad, Lenny, is dissembling about his son’s photos, allegedly taken a month apart. Noah’s mom, Veronique Haller Pozner, waves to the assembled media as she leaves after the funeral service in Fairfield, Conn. (AP) Her 6-year-old boy was shot “multiple times,” with his lower jaw blown away, but this mother had the presence of mind to put on rouge and red lipstick just 3 days later. On December 17, 2014, three days after the massacre, the funeral service for little Noah was held in Fairfield, Connecticut, where his body reportedly laid in an open casket — a simple brown wooden casket with a Star of David on it. Bizarrely, Noah’s mother, Veronique Haller Pozner, who herself is a gun control advocate, later accused her brother Alexis of speaking without her authorization. I searched Grove Hill’s website for both Veronique Pozner and Doreen Berube, but found nothing. I did find a barebones page for Veronique Pozner on the professional networking site LinkedIn, which says she is a registered nurse at Grove Hill Medical Center in New Britain, CT. Oddly, Pozner’s LinkedIn page as 0 connections. However, as some bloggers have discovered, there is a Veronique Haller, identified on the website of the Swiss-American Chamber of Commerce as the Legal Counselor for the Swiss Embassy in Washington, D.C.! Veronique Haller is not on LinkedIn. The USA Today article describes Veronique Haller Pozner as a single mom of five: two older children (a daughter and a son) from her first marriage, and three younger children from her second marriage to Lenny Pozner — a daughter Sophia and two twins, Noah and Arielle. But Lenny Pozner did upload photos of Noah to his Google Plus account, which blogger Timothy Hunter discovered. Hunter noticed that Noah’s hair length was very different in two photos that were taken just a month apart. Let’s compare Noah Pozner in the two photos, supposedly taken a month and a day apart (see below). Noah #2 sure has a lot more and much longer hair than Noah No. 1 — in just a month! When Hunter points out that hair doesn’t grow that fast in just a month, Lenny Pozner actually responded to Hunter with the lame explanation that Noah’s hair was so much longer in the 2-26-2012 pic because the boy was wearing a wig. Why would anyone put a wig on a 6-year-old boy? For all the posts FOTM has done on Sandy Hook, go to our “Sandy Hook Massacre” page.